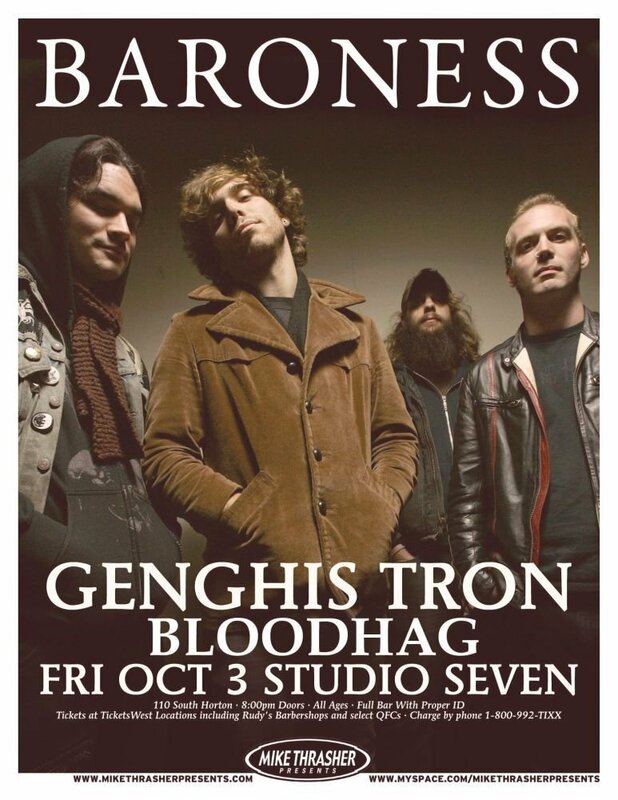 This BARONESS gig poster is rare. It is a promo only available at ticket outlets and music stores to promote their concert. Warm-ups GENGHIS TRON and BLOODHAG are listed. This poster is for their October 3, 2008 concert at Studio 7 in Seattle, Washington. Size is approximately 11" by 14". It is in great condition for display, at least Mint/Near-Mint. It will be shipped rolled in a sturdy tube.